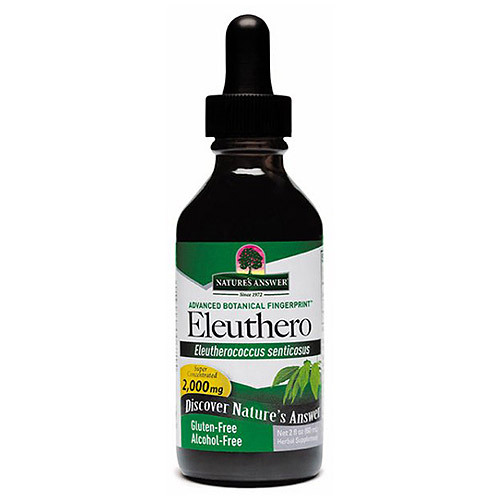 Eleuthero is used to promote vitality. It is a distant relative of Asian ginseng. Eeleuthero is most frequently known Siberian ginseng. Eleuthero is native to the Taiga region of the Far East (southeastern part of Russia, northern China, Korea, and Japan). The root and the rhizomes (underground stem) are used medicinally. 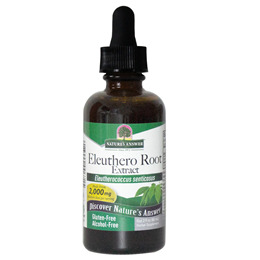 Eleuthero (Eleutherococcus senticosus) Root Extract, Vegetable Glycerin, Purified Water. As a dietary supplement, take 1-2 ml (28-56 drops) three times a day in a small amount of water. Below are reviews of Nature`s Answer Eleuthero - 60ml by bodykind customers. If you have tried this product we'd love to hear what you think so please leave a review.